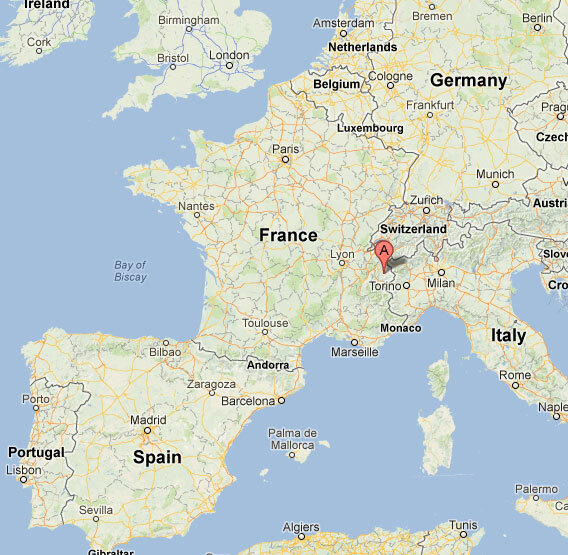 Another in what will be a long list of airports I simply have to fly to some day. It helps that this one is right next to a very high-quality ski resort. While I wouldn’t mind taking a vacation just to fly to an airport, there might have to be something else for the hypothetical future family to do too. Hopefully the future family will be avid skiers. 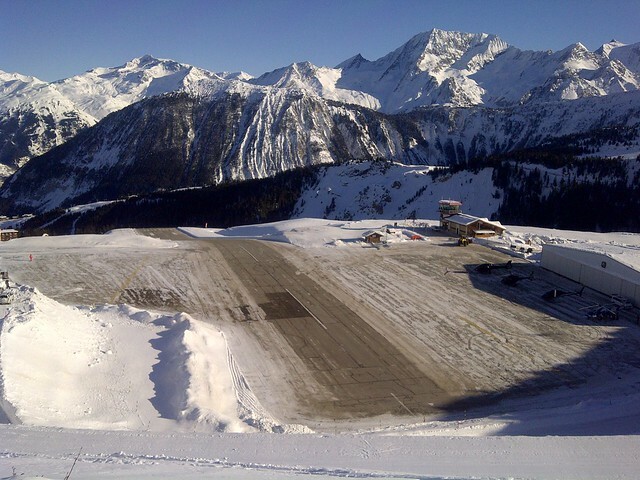 This is the same airport used in one of those James Bond films back in the ’90s. 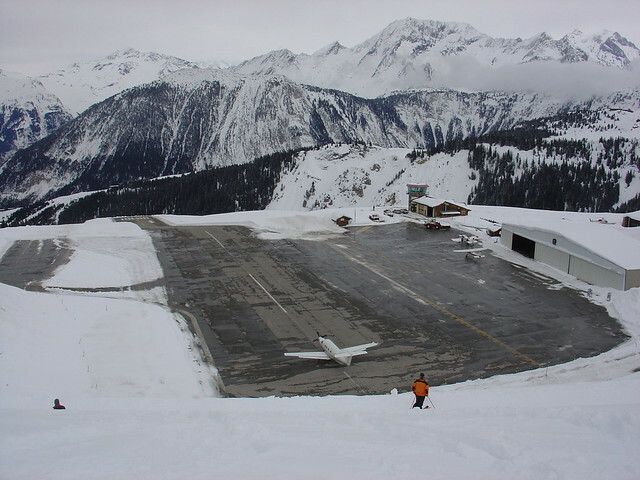 At 1800 ft (545 m) in length, 6500 ft (2000 m) in elevation, and with an 18% slope in the middle of the runway, some excellent pilot skills are required to get in and out of here without ending up a pile of wreckage on the side of a mountain. I’ve been out of town the last few days and the weather has been terrible, so I haven’t flown in more than a week. Even though spring is officially here in just a few days, the weather in New Jersey has been very winter-y. According to long-range forecasts, there may not be an opportunity to go flying at any point in the next 10 days. I’m so tantalizingly close to the end of my PPL training, yet with this weather, I’m so so far away. In the meantime I’ll just have to keep daydreaming. I like to get away from civilization from time to time. At least, from my everyday civilization. Turn my phone off, forget about work and email and traffic, and see the remote parts of the world. It doesn’t get much more remote than Lukla, Nepal. 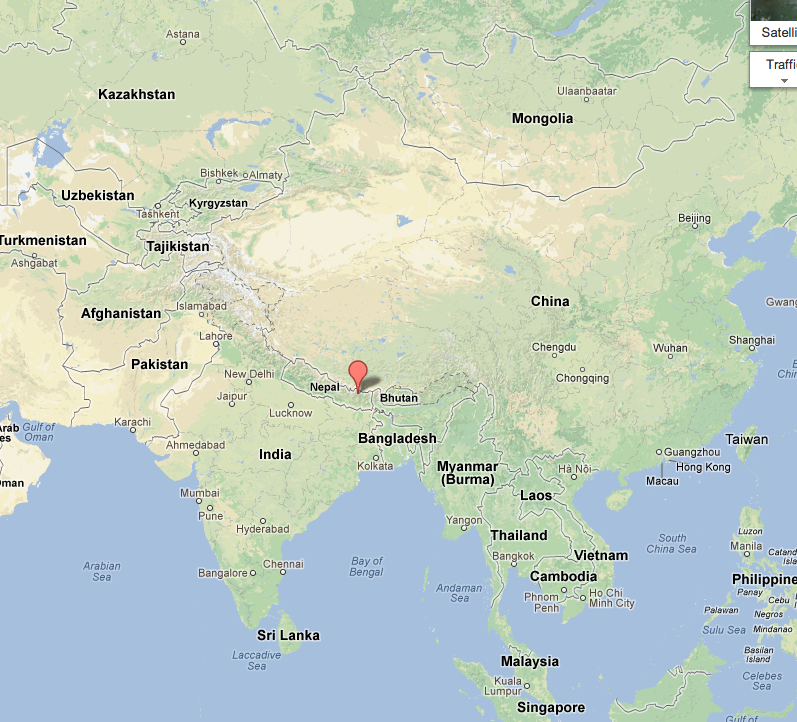 Just about 20 miles southwest of Mount Everest, it is almost 8,000 miles from home. But to get there, it requires a hell of a short-field landing! Makes me want to go practice short-field operations!